All images show downtown Chattanooga, Tenn. Images via Getty Images. 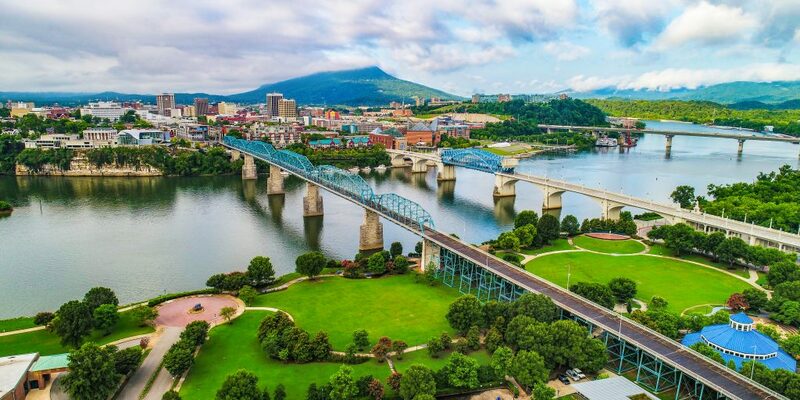 How smart city projects are driving economic development in Chattanooga, Tenn.
Smart cities: once science fiction, now the foundation of community success. Every day, economic developers ask how they can swiftly engage smart city stakeholders as cities rapidly advance. As technology transforms the global economic landscape, cities like Chattanooga, Tenn., demonstrate that the best way to drive economic development is to lead the charge toward a smarter future. Smart city projects harness modern technology and data, often with the goal of elevating all citizens regardless of zip code, tax bracket or educational attainment. Economic developers assess how smart city projects will offer a lasting impact on the city’s residents: better transport to jobs, easier access to doctor’s appointments and smarter logistics. Today, these projects offer community leaders a once-in-a-generation opportunity to help level the playing field and support all members of our communities. We have entered an exciting new era for economic growth in American communities – one that will look and feel quite different from the past. When selling a house, owners often invest in home improvements to increase the property’s value. The same can be said about cities. By improving and investing in smart infrastructure, cities create value that attracts businesses and talent, startups and investors, researchers and philanthropists. Investing internally creates the momentum needed to attract external talent and shareholders to a city. 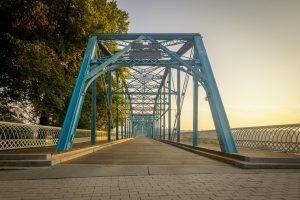 In 2010 – before the phrase “smart city” became a buzzword – Chattanooga laid the groundwork for its smart future by becoming the first U.S. city to offer citywide gigabit internet service to residents. Taking it up a gear, Chattanooga then introduced its 10 gigabit fiber optic network in 2015. To this day, the Gig City boasts some of the fastest internet speeds in the country. Recognizing the value of Chattanooga’s smart infrastructure, Mayor Andy Berke spearheaded the development of The Innovation District. While larger cities already had well-established Innovation Districts, Chattanooga was the first mid-sized city to take this critical step. Following these major milestones, Chattanooga’s smart infrastructure has had a direct and tangible impact on the economy. From 2010 to 2015, the gig helped generate at least 2,800 new jobs, added at least $865.3 million to the local economy and captured the world’s attention. Today, startups headquartered in Chattanooga are disrupting industries globally with smart solutions. For example, Bellhops, the nation’s first tech-enabled moving company, recently raised $31.4 million, the largest ever fundraising round for a Chattanooga startup; Branch Technology, an architectural fabricator specializing in large scale 3D-printing, plans to build the world’s first freeform 3D-printed house; and FreightWaves, which emerged as the leading provider of data and news for global freight markets after launching in 2016, recently raised $21 million in a Series B financing round. Hamilton County’s entrepreneurial tools – including the INCubator, the third largest business incubator in the United States – are critical to these smart startups’ success. Walnut Street walking bridge in Chattanooga. While economic developers are always looking for the next major project, nurturing the investments that already exist in a community is key. In 2008, Volkswagen chose Chattanooga for its $1 billion North American assembly plant. That initial investment ultimately grew to more than $2.3 billion, providing 3,800 jobs in Chattanooga and an impact of approximately 16,400 jobs statewide. Chattanooga’s dedication to sustainability is attractive to businesses looking to invest. For example, Volkswagen’s leadership were initially impressed by Chattanooga’s “vision of a clean, healthy city along with the protection of its natural beauty.” For decades, Chattanooga has been a leader in urban sustainability, installing green roofs on public buildings, advancing LEED certification, rolling out electric vehicle charging stations and working on solutions for storm water runoff. Volkswagen’s Chattanooga plant, the first LEED Platinum certified auto manufacturing facility in the world, fits well within Chattanooga’s trajectory toward smart, sustainable growth. It encompasses a 66-acre solar park, an advanced painting process that cuts carbon dioxide emissions by approximately 20 percent and an 88-acre protected wetlands area that creates a natural habitat for many different species of Tennessee wildlife. The community has nurtured Volkswagen’s investment for more than a decade, resulting in the company’s recently announced plans to expand the production facility to become Volkswagen’s North American hub for electric vehicle production. Strengthening the company’s commitment to an electric mobility future, this expansion will include an investment of $800 million into the Chattanooga facility and create up to 1,000 jobs, plus additional jobs at suppliers. By building electric vehicles in Chattanooga, the city and automaker are working in lock-step toward a smart and sustainable future for the local manufacturing industry, as well as the Hamilton County community more broadly. Cities sustain growth by investing in smart people. When it comes to economic development, education and sustainability go hand-in-hand. In addition to attracting new talent, it’s crucial to nurture the talent already in your backyard. What do different industries need right now? What will the community need by 2040? Community visioning is a smart approach to tackling these questions. For example, Chattanooga has utilized this visioning process for decades, most recently with Velocity 2040. An astounding 4,816 residents representing every facet of the Chattanooga community came together to reimagine its future and determine where smart investments should be focused in the years ahead. Chattanooga invests in its future through multiple workforce development programs that complement one another. For example, Chattanooga 2.0 is a local initiative that aims to double the number of residents with a post-secondary education over the next decade. Future Ready Institutes facilitate educational partnerships between Hamilton County Schools and local businesses. These partnerships create an available talent pipeline for businesses, while giving students the skills they need to excel in a career after graduation. Additionally, Chattanooga’s Earn While You Learn program helps students gain industry experience with businesses in Chattanooga, while providing companies with a pool of local talent. Strategic economic development efforts in Chattanooga and Hamilton County have generated more than 9,000 new jobs and $1 billion in capital investment since 2011. 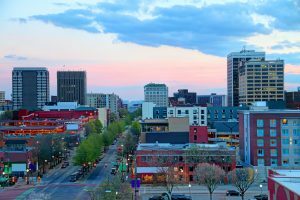 Adapting and harnessing technology to improve everyday life for citizens and businesses is a necessary investment for cities looking to drive economic growth. Current and future workforces differ from those of the past. Cities need to adapt with them and for them to build a strong foundation for success. Smart cities are the future of economic development and the long-term payoff is well worth the investment today. Christy Gillenwater is the president & CEO of the Chattanooga Area Chamber of Commerce.